Sara Pacientes is a company from Colombia that gives support, advice and takes care of patients based on their family background and personal & professional situation. Sara Pacientes does this to ensure that patients have the right solutions based on their health condition. The nurses from Sara Pacientes go to the patient's houses to guide them. They check the medicines their doctor recommended them to take. After that, they explain their patients the effects of the medicines and how they should take them. Also, if the patients need to use a special medical tool, the nurse show them how to use these tools. The goal: diminish health risks. Moreover, the Sara Pacientes Holding owns another company called SAI (Servicios y Asesorías en Infectología), that teaches and educates doctors & nurses. 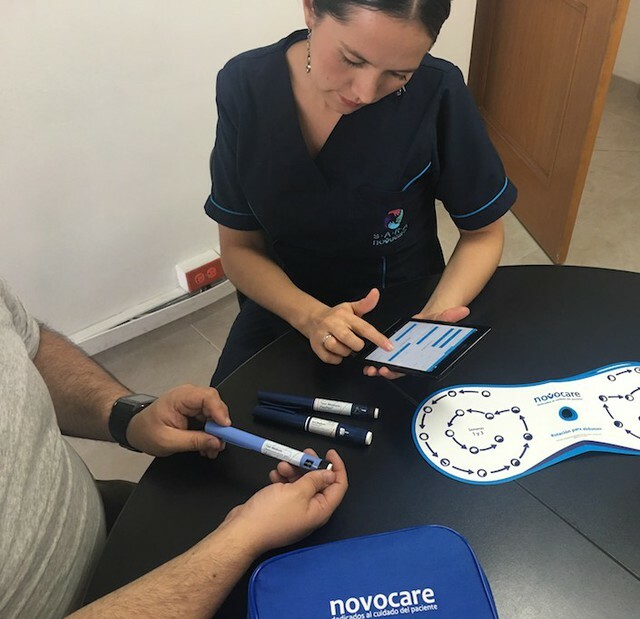 The employees of SAI train doctors and nurses in Colombia, making sure that they stay up-to-date with the medicines and healthcare tools available on the market. The Sara Pacientes Holding likes to offer the finest patient and customer service. Óscar Pérez, CEO of Sara Pacientes, says: "We always try to use the latest software available. Thanks to tools like MoreApp we have better control of our patients and nurses. This allows us to offer better quality service and help the planet. Using eco-friendly forms we fight against the climate change." Digital healthcare forms help Sara Pacientes and SAI saving a whole lot of time. Now their nurses don't have to re-type the data. Óscar says: "Before, colleagues that were capturing data had to retype the data from paper into Excel. With MoreApp they no longer have to waste time doing that task. The data captured in the field, with a photo of the medicine and Geo-location, is automatically sent to the cloud." Óscar also highlights: "I like the fact that MoreApp works offline. That means that their work does not depend on location or connectivity." Óscar Pérez, CEO of Sara Pacientes: "Now I have a total overview of my business".